Neither alcohol nor marijuana is good for you in larger doses, but when it comes to smaller amounts, which is actually worse for your health? In this episode of The Brain Warrior’s Way Podcast, Dr. Daniel Amen and Tana Amen weigh in on the effects that alcohol and marijuana can have on your brain and body.Neither alcohol nor marijuana is good for you in larger doses, but when it comes to smaller amounts, which is actually worse for your health? In this episode of The Brain Warrior’s Way Podcast, Dr. Daniel Amen and Tana Amen weigh in on the effects that alcohol and marijuana can have on your brain and body. 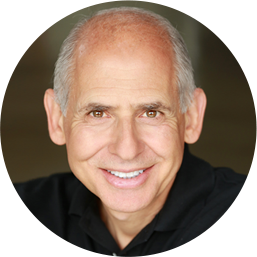 Dr. Daniel Amen:	The Brain Warrior's Way Podcast is brought to you by Amen Clinics where we've transformed lives for three decades using brain spect imagining to better target treatment and natural ways to heal the brain. For more information, visit amenclinics.com. 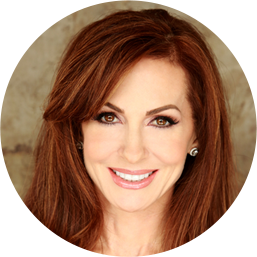 Tana Amen:	The Brain Warrior's Way Podcast is also brought to by Brain MD where we produce the highest quality nutraceutical products to support the health of your brain and body. For more information, visit brainmdhealth.com. 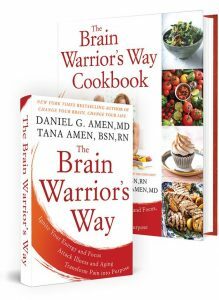 Welcome to the Brain Warrior's Way Podcast and stay tuned for a special code for a discount to Amen Clinics for a full evaluation as well as any of our supplements at brainmdhealth.com. Welcome back. So today we're going to talk about a very controversial topic, marijuana versus alcohol. I know everyone gets so wound up over this topic, but before we do, I want to just remind people that we are offering a 10% discount if you use the code at the end of the podcast. The goal of this is to get people to share the podcast. Yes you could just share the code, but that defeats the purpose of you sharing this information with someone you love to help them get healthy. We're trying to help you in this journey to get the people you love healthy so you have a bigger community of healthy people. Dr. Daniel Amen:	When we came up with the topic, marijuana versus alcohol, it's because there's new researching showing how marijuana actually damages the structure of the brain's integrity, but then there was yet another study that showed alcohol was worse. So, what is a person to do? Tana Amen:	So alcohol is worse? Tana Amen:	Yeah, I know initially you said Batman and Superman, and I'm like, "No. They're good guys. You can't use that." Dr. Daniel Amen:	People think of alcohol as a health food and marijuana as medicine, and our experience here at Amen Clinics is neither one of them are really great for you, so we wanted to talk about it in a really balanced way. Dr. Daniel Amen:	Last year on a thousand pot smokers, and we showed virtually every area of the brain is lower in blood flow, especially the hippocampus. The hippocampus is that seahorse-shaped structure that helps process memories and your mood, and it was significantly lower in people who smoke pot versus people who didn't. We're actually ... I haven't told you this yet, but we're working on a new aging study, and people who smoke marijuana, their brain age, on average, was three years older than people who didn't smoke marijuana. So, is there a time when marijuana may, in fact, be a researched-base treatment for a number of disorders? Yes. I think that's true, and now that it's legal in a number of states, there will be more research and more research funding. The hope is it's not going to be the kind of marijuana that most people got before that was raised with pesticides that was cut with other toxins, but at the moment, we're not fans, except in certain situations. Our father-in-law died of pancreatic cancer and a lymphoma. He was blessed with two cancers at once which is pretty crazy. Tana Amen:	It was crazy. Severe pain at the end of life. Dr. Daniel Amen:	He was in severe pain at the end of his life. Tana Amen:	Yeah, they gave him morphine. Nothing worked except for the medical marijuana worked. Tana Amen:	Right. He was in hospice care. It's like giving him what he needs. Dr. Daniel Amen:	And, I am a huge fan of it being legal. Tana Amen:	I am not. Dr. Daniel Amen:	Why? Because putting potheads in jail is a bad idea. Sleep deprive them. Chronically stress them. Give them terrible food, and then let them hang out with people who do seriously bad things. It is bad use of our resources, but let's not say it's good for you. Tana Amen:	I'm not a fan. Just to be clear. Dr. Daniel Amen:	And why are you not a fan given my very rational argument that I just laid out? Tana Amen:	'Cause I don't think it's rational. Tana Amen:	Now, let me back up in a minute. I grew up in a hope ... 'Cause people are thinking I'm just like a witch right now. I grew up in a home with excessive drug abuse. Not my other, to be clear, but there was excessive drug abuse around me, so I'm a bit intolerant, just FYI. Dr. Daniel Amen:	You know, I've not seen it really enhance many people's lives. Tana Amen:	That's medical use. Dr. Daniel Amen:	That he used it medically. It was completely appropriate. Tana Amen:	That was medical. Dr. Daniel Amen:	And it was helpful. Tana Amen:	But it was medical. Dr. Daniel Amen:	To decrease his suffering when he died. Tana Amen:	So I had to spend over a year going back and forth to Oregon for some family issues for a family member. Don't want to get into why. But I was spending time up there where it is not only legal, it is just everywhere. The level of homelessness, unemployment, and the big thing, the number of kids taken out of the home just was sickening to me. Dr. Daniel Amen:	So we're going to get a lot of hate mail. Dr. Daniel Amen:	So, from a brain perspective, we've seen it's not helpful. It does not help your brain work better, grow better, and so on. But neither does alcohol. Dr. Daniel Amen:	And for so long, and it was totally not popular, 'cause I've been saying alcohol is not a health food for many, many years. Tana Amen:	And I'm going to be really honest. You got me to change my perspective 'cause I didn't know that. Okay? So I don't have a problem with alcohol, so I thought, "Well, it's legal. It's not a big deal. I don't drink and drive. So I'm a responsible person who can drink a glass of wine, and having one every night, well, it's supposedly good for you." I actually didn't realize that. You got me to change my perspective. Dr. Daniel Amen:	And the reason besides the obvious one that when you work in an emergency room, you see a lot of problems with alcohol. Dr. Daniel Amen:	You see the domestic violence. You see people making really bad decisions. Tana Amen:	Should come with a warning label that it may cause pregnancy, yes. Dr. Daniel Amen:	May cause pregnancy, right? 'Cause it's all about decision making. Tana Amen:	That you need. Dr. Daniel Amen:	Are not your friend. Tana Amen:	And I've seen the devastation of both in my family, so I get that, and personally, when I saw that evidence, I'm like, "No. Not a good idea." It was easy for me. Tana Amen:	But it's not easy for everybody. Dr. Daniel Amen:	You should never have a drink if you go to a wedding and you have champagne? Or if you have one or two a week, it's not a problem. Drinking every day, what I've seen on the imaging work we do, it's a problem, and it's associated to a smaller brain. We want you to fall in love with things that are good for you. We keep talking about our nieces that we sort of adopted, and there's this phrase I have drilled into their heads. You only want to be in love with things that love you back. At least, from what I've seen on the brain imaging work and the clinical work we've done over the last three decades here at Amen Clinics, neither alcohol or marijuana love you back.